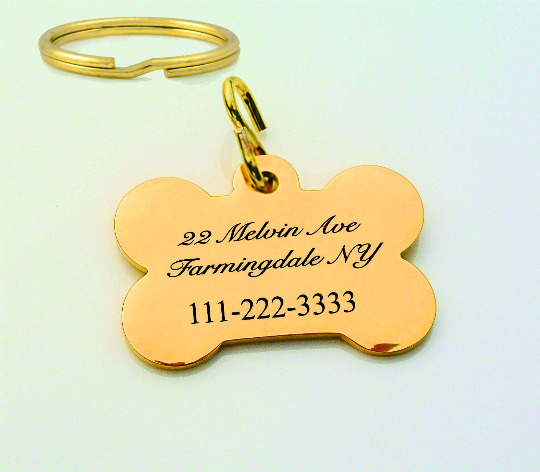 Large high polished brass bone pet tag with 2 lines of engraving included. 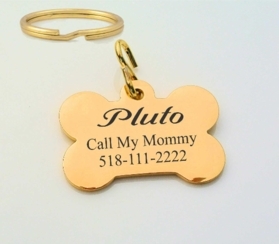 Comes with an S hook for easy attachment to the collar. Measures: 2 3/8" x 1 1/4"